THINKING OF A UNIQUE GIFT FOR THAT SPECIAL SOMEONE THIS EASTER SEASON? 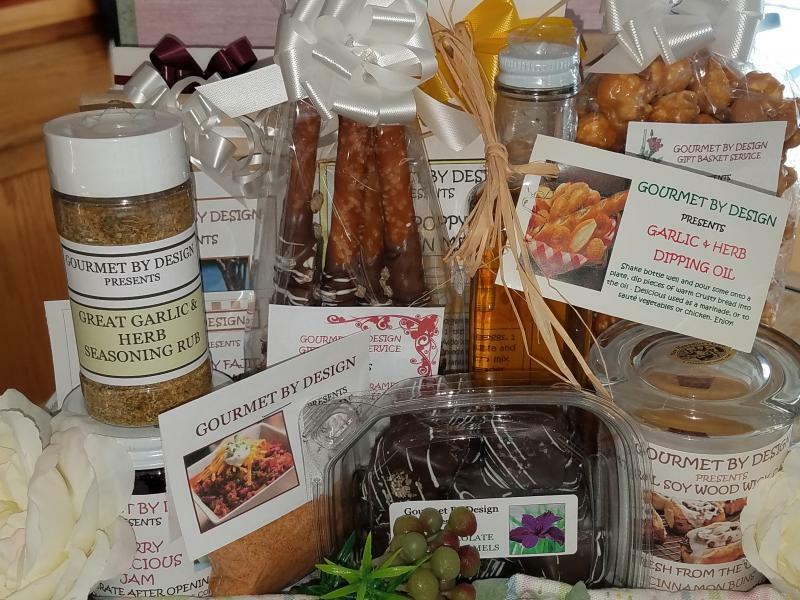 UNIQUE & BEAUTIFUL BASKETS OVERFLOWING WITH ALL FRESH, HOMEMADE AND DELICIOUS PRODUCTS ARE ONLY A PHONE CALL AWAY. HAND DIPPED CHOCOLATES, CARAMEL CASHEW POPCORN, ENGLISH TOFFEE, CHOCOLATE CARAMEL PRETZELS, FRESH BAKED COOKIES, ASSORTED JAMS, DRY RUBS, BAKING MIXES AND SO MUCH MORE. WE MAKE THEM ALL AND DELIVER THEM FRESH TO YOU. IT'S A WONDERFUL WAY OF SAYING YOU CARE! TASTE THE DIFFERENCE THAT MADE FRESH TO ORDER MAKES. WE WOULD LOVE THE OPPURTUNITY TO CREATE YOUR ONE OF A KIND GIFT THIS EASTER SEASON. A hand made bow and personalized gift tag accompany every basket we design. Shipping on smaller baskets is also available. 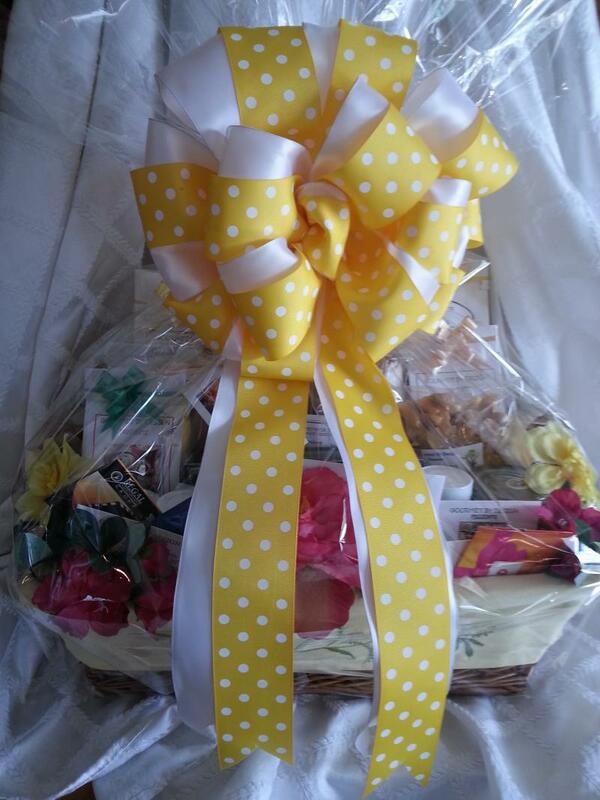 Please ORDER EARLY, we need a little time to create your fresh, homemade and delicious basket.